Ferrari’s naming convention is pretty formulaic and we can apply that formula to find any car’s “Ferrari name.” I’ll explain. 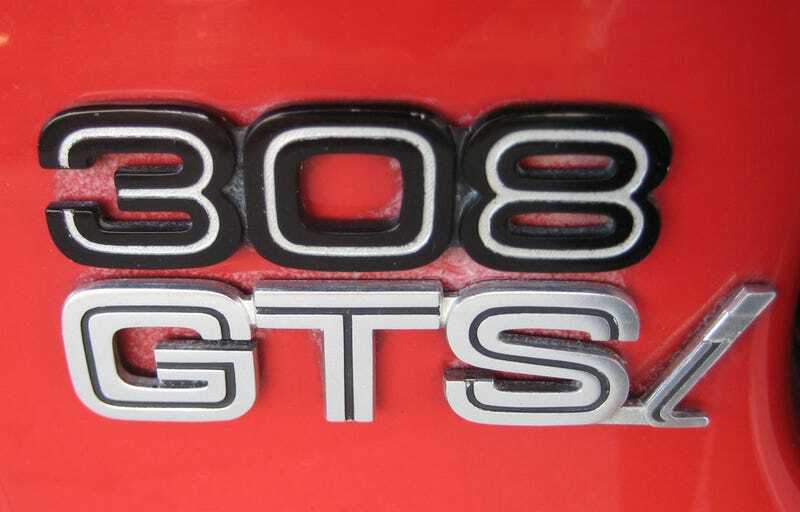 In the early days you had names like the 365 GTB/4. That comes from the volume of the entire engine (in cubic centimeters) divided by the cylinder count to give the specific capacity of 365 cc. The GT stands for Gran Turismo because its a Ferrari and of course it does. B is for Berlinetta (coupe) and the 4 denotes that it has 4 cams instead of the usual two. The modern naming system usually uses the displacement of the engine and the cylinder count. For example, the 308 denotes a 3.0L 8-cylinder under the hood. The title image is a GTSi where the “i” denotes fuel injection. For lack of anything better to do, give me the year, make, model, and displacement of your vehicle and I will spit out what it’s “Ferrari name” would be. Yes I know, setting new records in pedantry. My 1970 Corvette would be a 715 GTS/1 because it has a 5,733cc engine with just one camshaft and the S for Spider because it’s a targa top. My old 1969 Chrysler would be a 785 GTQ/1 because it has a 6.3L engine and Q for quattroporte.